This one is for the Linux lovers out there. Many may have not heard the term Debian but believe me if you are into Linux, you might have used it. 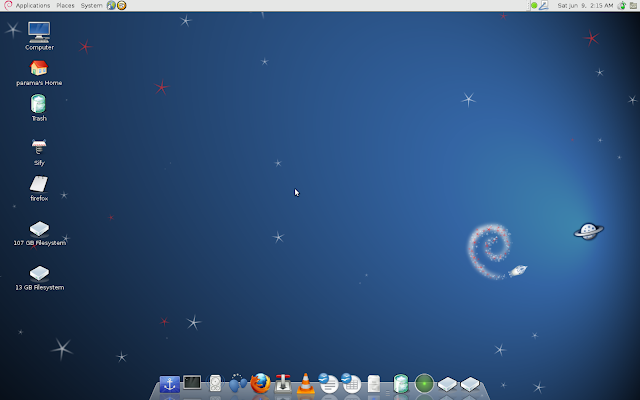 The Debian 7.0 codenamed 'Wheezy' comes out exactly after 2 years and with it, it brings a lot of improvements to the old Debian. One of the main improvements has got to be the multiarch support with new kernel (Linux 3.2). The new Debian also supports almost all of the latest multimedia codecs. Debian is known in the programming world for its stability and flexibility and is popular with Linux distributions including Ubunty. Wheezy had been in the making for last two years after the Debian 6.0 codenamed Squeez) was released in 2011. Multiarch support is the one that allows you to install software built for multiple architechtures into one system and Debian has managed to achieve it. It essentially means that you can install a 32 bit or a 64 bit software on a single system. This in turn will improve support for legacy software. Debian is also easy to handle, you install a 32 bit old software on your new 64 bit machine on which Debian is installed, Debian will take care of the rest. The software comes with its own installer and has support for 73 languages. Accessibility has also been addressed by the makers by letting you install via a speech software. This is a great value addition especially for the visually impaired programmers and users. Debian 7.0 also adds support for deploying private clouds. The OS bundles ready-to-use packages for the open source cloud operating system, OpenStack, and the Xen Cloud Platform, which provides a server virtualisation and cloud computing platform. In addition, Debian can now be installed and booted using UEFI, if you have a newer 64-bit PC. Debian 7.0 also brings along a whole host of applications and updates. Included are new versions of the GNOME, Xfce and KDE desktop environments, while applications such as GIMP and LibreOffice are also added. The only thing missing in the Debian is support for Secure Boot. You can read about the release notes for the update here.